Here are MSI GV62 8RD-200 drivers for Windows 10 64 Bit you may download and install to let your gaming laptop work properly. 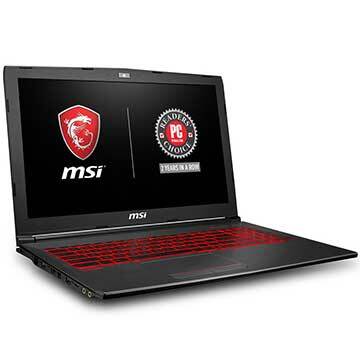 As described at official MSI website, MSI GV62 8RD-200 is 15.6 inch gaming notebook powered by 8th Generation 2.30 GHz Intel Core i5-8300H quad-core processor and discrete NVIDIA GeForce GTX 1050 Ti with dedicated 4GB GDDR5 VRAM. This mobile computer comes with 8GB DDR4 2400 MHz system memory and 16GB Intel Optane Memory + 1TB 5400RPM HDD to store documents. This MSI portable PC features 802.11 ac Wi-Fi, Bluetooth v5, 720p HD web camera, backlit keyboard, Type-C USB3.1 Gen 1 port, Type-A USB3.1 Gen 1 port, SD card reader slot, (4K @ 30Hz) HDMI port, Mini-DisplayPort, and 6-Cell 41 Whr battery. Use this version If your operating system is Windows 10 RS3(1709) or older version.